Imagine yourself thriving in a small class environment where girls eagerly engage with challenging curriculum and excitedly exchange ideas about the world around them. This is the Westridge Upper School experience. 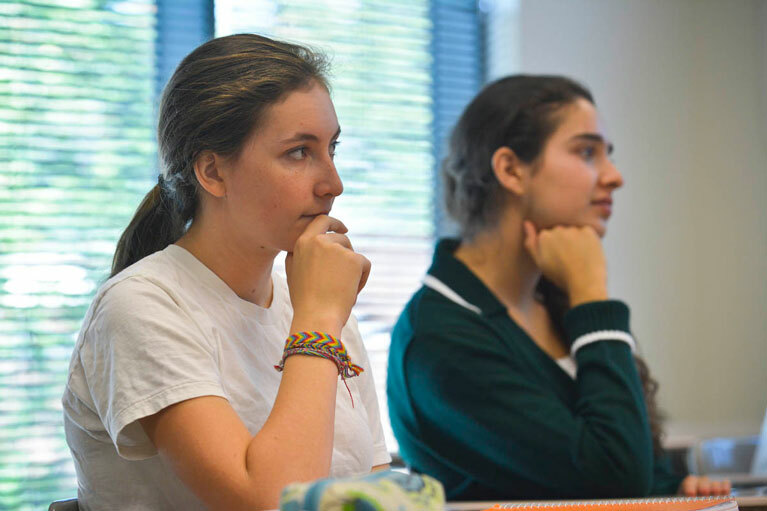 In Upper School, girls begin their 9th Grade year taking courses across the disciplines and spend time establishing community with each other and their teachers and advisers. Girls who are new to Westridge, as well as those who have been members of the community since Lower and Middle School, all meld together and form new friendship groups, making learning fun and school feel comfortable and safe – a home away from home. In the years that follow, girls start to identify their key areas of interest, be it academic, artistic, athletic or civic. Outside of the classroom, girls begin working on their Community Action Projects – a multi-year service and inquiry process that empowers girls to utilize their skills, talents and interests to improve the world around them. Then, just as girls enter into the final years of high school, the college search and application process begins. 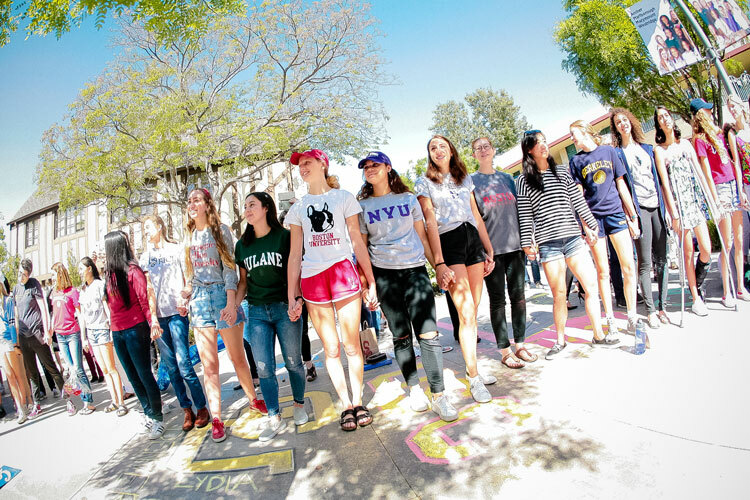 Guided by an amazing college counseling team, girls and families are supported through the college process from start to finish and find themselves leaving Westridge excited to begin again. Please visit our campus and hear from our girls, as they can best explain what makes Westridge Upper School such a powerful place to learn and thrive. Girls who are new to Westridge, as well as those who have been members of the community since Lower and Middle School, all meld together and form new friendships, making learning fun and school feel comfortable and safe - a home away from home. Through the close analysis of literature from many traditions, Westridge students come to understand the ways in which the language of each novel, play, or poem creates a unique world of meaning. Using literature as a vehicle, students learn about others and themselves and develop the skills and confidence needed for effective expression in both writing and speaking. 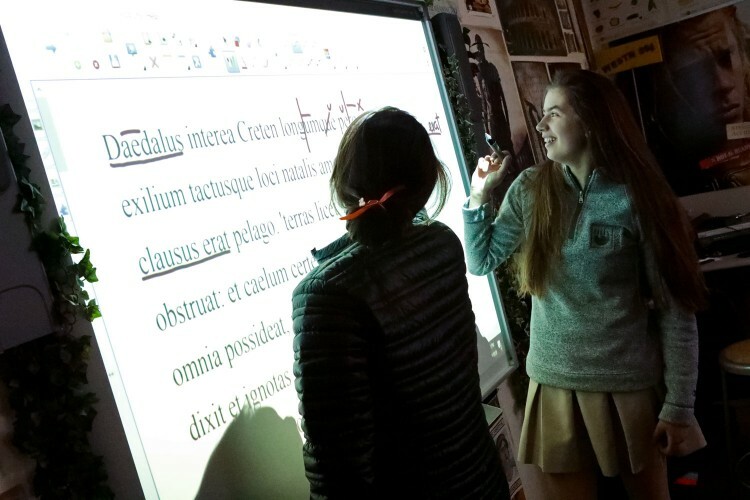 Beginning in English I and culminating in English IV AP, students take increasing responsibility for their own learning through leading and contributing to in-depth discussions. Following the foundation established in English I and English II, all students enroll in English III Honors and English IV AP. Upper School History courses are designed to provide students with a clear understanding of the history of world cultures and civilizations. 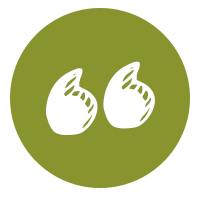 We place emphasis on seeing the connections between history and contemporary questions and issues, and we introduce girls to a wide range of viewpoints in an effort to understand the richness of diverse cultural traditions, both in the United States and across the Globe. These courses place emphasis on primary sources, not only to complement the historical narrative, but also as a way to promote critical and analytical thinking. Classes are predominantly held as seminar-style discussions to encourage student engagement and participation. In addition to creativity, math encourages order, rigor, logical development, exactness, universality, abstraction, economy and elegance. These values, applied to the world, invest students with a degree of understanding and control over their environment. The program is designed for them to experience success and to build confidence in their math skills. The department expects those skills—problem-solving, critical thinking, skillful use of technology, and intuitive understanding of math and what it can represent—to expand and sharpen through frequent use and review. We expect to instill in girls a measure of awe at the nature of math and what humanity has accomplished mathematically. Girls are expected to apply learned math concepts in real-life situations and to marvel that reality can be ordered, understood, and controlled by math. Girls should be able to apply previously learned concepts to new, seemingly unconnected ideas as they develop independent problem solving skills. They should also be able to recognize the cross-curricular connections to material in other disciplines. 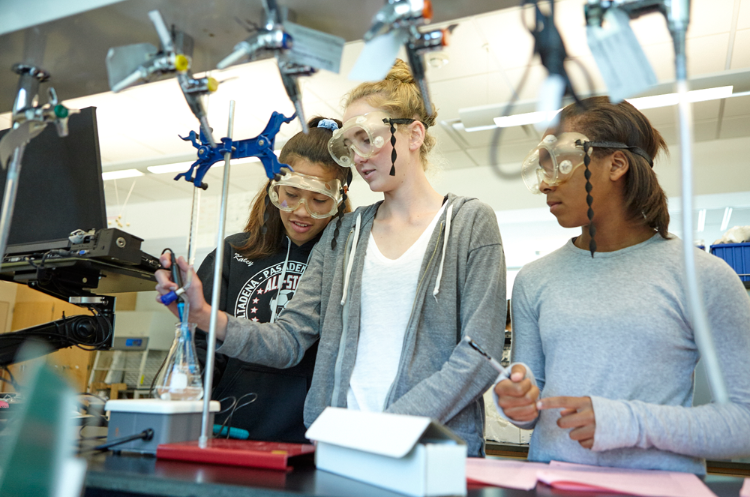 Westridge is committed to empowering girls in the sciences. Courses within the science program are analytical and laboratory-based, and offer girls an opportunity to be involved in the practice of science, not just study it. Exploration of the sciences begins with biology and chemistry. Girls then have the opportunity to choose from a range of electives in the biological or physical sciences. 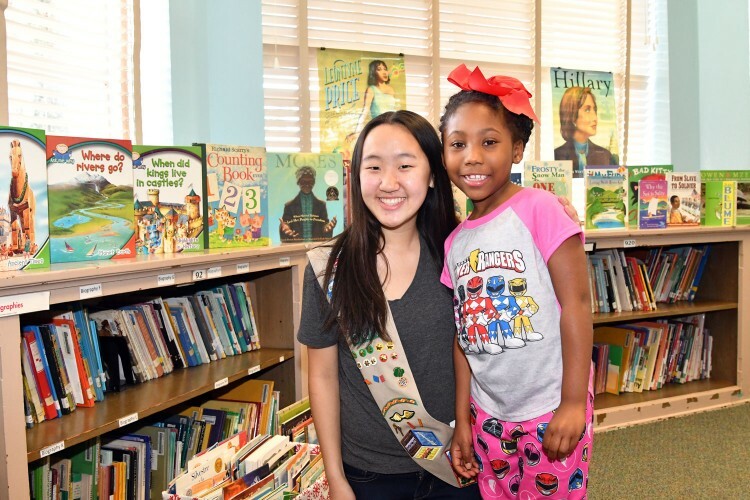 In addition, girls have the option of taking electives in Science Olympiad, Rocketry, and Robotics, or becoming members of our after-school Girls Who Code Club (a chapter of the national Girls Who Code organization). Select seniors can participate in the Research in Science course, which pairs students with researchers in universities and research institutions nearby, including Caltech. Additionally, the LEED Platinum-certified Upper School science building was the culmination of our mindful, decade-long revitalization of the science curriculum. Initiated as a result of increased student interest and demand in science, the new facility supports an already strong math and science program that begins in the Lower School by providing state-of-the-art facilities that become a part of the curriculum itself through technology and sustainable design. The modern and classical languages classes at Westridge foster communicative competence in the target language: for Spanish and Mandarin, verbal/aural/oral conversational proficiency as well as the ability to understand nuances of written literature and current cultures; for Latin, proficiency in translation of grammar, history, and literature, as well as aptitude in Roman history and mythology. Mastery of foundational mechanics is required for advancement to upper levels of language courses such as El Mundo Hispanohablante, Spanish AP, Spanish Literature, Mandarin AP, Latin AP, and Latin Literature, which focus on literature and global applications of language. The AP Computer Science course emphasizes programming methodology with an emphasis on problem solving and algorithm development. Girls learn to code fluently using the programming language Java. 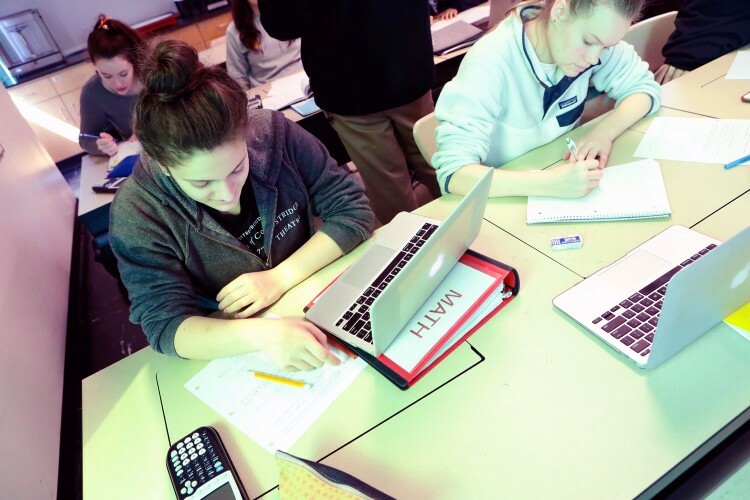 AP Computer Science Principles introduces students to the fundamentals of computer science, including problem solving, working with data, the Internet, cybersecurity and programming. This course instills the ideas and practices of computational thinking and invites students to understand how computing changes the world. Economics emphasizes microeconomic topics, exploring decisions made by individuals and companies, including supply, demand, trade, and market efficiency, as well as deeper philosophical questions about the purpose of money. Students in the course examine how scarce resources are allocated at the national and international level, including current issues such as unemployment, inflation, taxation, and exchange rates. A personal finance component is also threaded throughout the course. Communication of ideas, creative analysis of the world and its cultures, and lateral thinking are key components of the Westridge visual arts program. The department offers yearlong classes in painting, drawing, ceramics, digital media, and photography. We design each course to refine girls’ knowledge and implementation of formal art concepts and to develop hand-eye coordination. Girls learn how to develop ideas through a specific medium while constructing meaning using visual imagery. We place emphasis on independent and flexible thinking, a disciplined work ethic, risk-taking, and perseverance. Student artwork is displayed in three galleries on campus. Through theatre at Westridge, students learn creativity, collaboration, and the importance of ensemble. 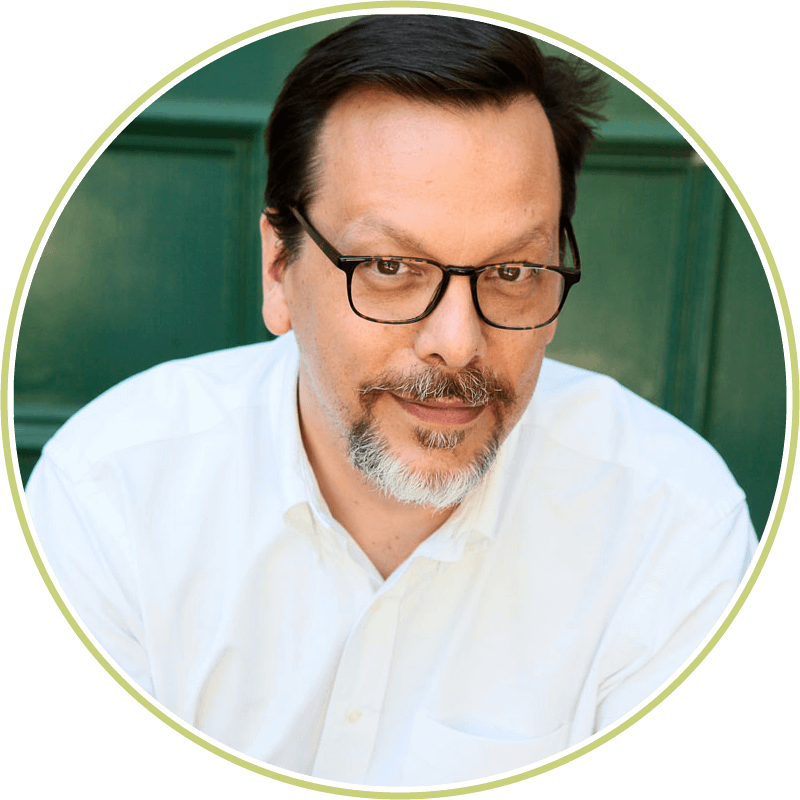 They grow to understand theatre as a discipline that involves focused commitment and a powerful sense of both personal and shared accomplishment. Most importantly, students continue to develop their own creative voice and personal agency. The Theatre Department offers courses in Acting, Theatre Production, Costume Construction, Fundamentals of Costume Design, and Technical Theatre. 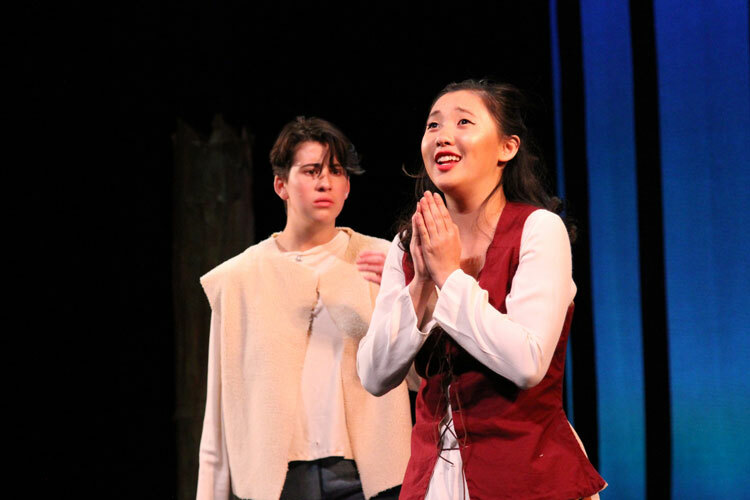 The Upper School presents three productions each year, including two main stage productions and one black box production. In addition to auditioning for the productions, students may serve in leadership positions as Assistant Directors, Production Stage Managers, or Assistant Stage Managers. There are many opportunities for students to work as members of the Costume Crew, Technical Crew, Properties Masters, Audio Assistants, or Lightboard or Soundboard operators. Students also have Front-of-House responsibilities as Box Office Crew and Ushers. Westridge provides opportunities for students to express themselves and enjoy a variety of musical experiences. The Upper School music program teaches students not only how to perform, but also how to collaborate. We cultivate skills in ensemble instruments, vocal performance, and music theory, building a repertoire of classical, contemporary, and popular music. Chorale and Intermediate Choir is offered for all grades, and students also have the opportunity to audition for singing groups Glee Club and Madrigals, which perform in special concerts and recitals throughout the year inside and outside of the Westridge community. Students of various experience levels playing a musical instrument may participate in Intermediate Orchestra to further develop their ensemble skills and musicianship. Chamber Orchestra is offered for advanced students who play strings (violin, viola, cello, bass); woodwinds (flute, clarinet, oboe, bassoon); brass; piano; or percussion. This ensemble is an auditioned group that provides its members with the opportunity to study and perform music from classical and non-classical genres. Upper School Physical Education is a multi-disciplinary course that utilizes diverse activities to promote students’ lifelong fitness and health. This course includes multimodal group aerobic exercise, conditioning, and strength and flexibility training. 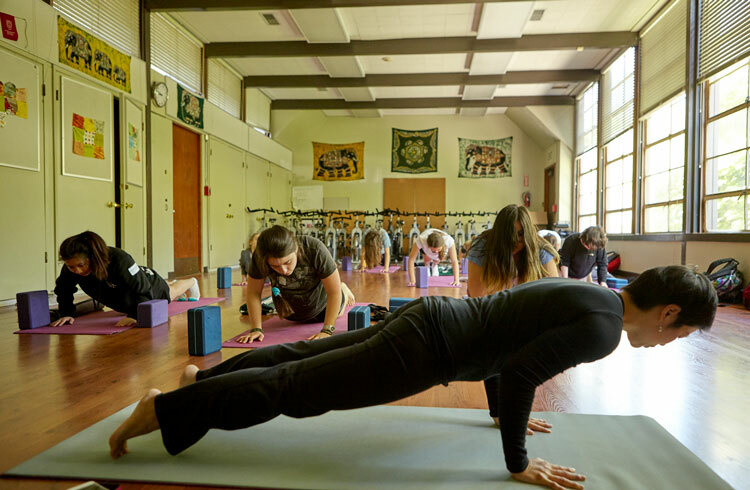 Through exposure to a wide array of fitness options, students are encouraged to develop their own personal fitness plan based on short- and long-term goals. Additional offerings include Intermediate and Advanced Dance. Students may apply for the Physical Education equivalent credit option if they are at advanced performance and competitive levels in their physical pursuits. 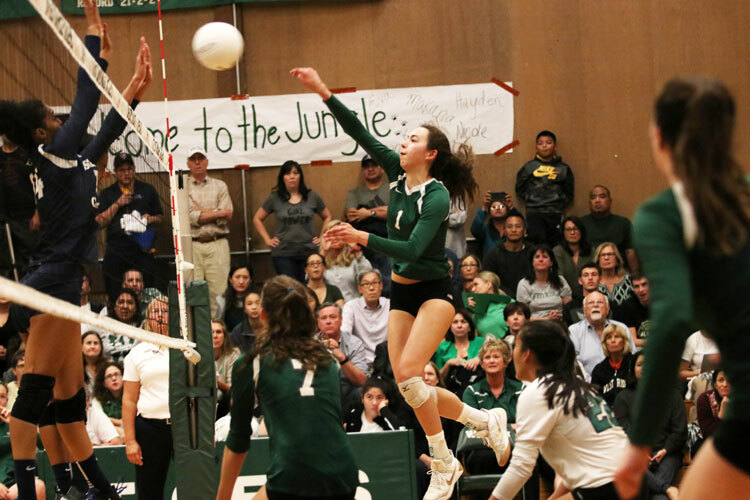 Westridge believes athletics is an important part of a well-rounded education. While the Tigers remain highly competitive at the varsity level, we afford each girl the opportunity to be a part of the athletics program as the Frosh/Soph and junior varsity levels can include novice participants. The Tigers field teams in basketball, cross country, golf, lacrosse, soccer, softball, swimming and diving, tennis, track and field, volleyball, and water polo. Students also compete in the Interscholastic Equestrian League. For details about our program, please visit the Athletics section of our website. Go Tigers! Seniors discussing the anticipated transition to college. The Human Development program is a core part of Westridge’s commitment to educating the whole girl. It prepares girls to be 21st century learners and leaders, focusing on developing critical thinking and communication skills, as well as emotional intelligence and character. This discussion-based, student-centered, 4-12 program exposes girls to a range of social, emotional, health, and college-related topics that are carefully scaffolded to respond to age-appropriate concerns with increasing sophistication over time. Westridge’s Human Development courses empower students with accurate information while giving them a time and space to explore their own values and beliefs and to learn to make sound decisions from a place of authentic self-awareness. The Community Action Project graduation requirement is an opportunity for Upper School students to demonstrate how their personal interests and passions can set the stage for deep learning and service to others. In 9th Grade, students begin by exploring various issues and service organizations of interest, and engage in several service learning experiences to help further hone their thinking and understanding of service learning. 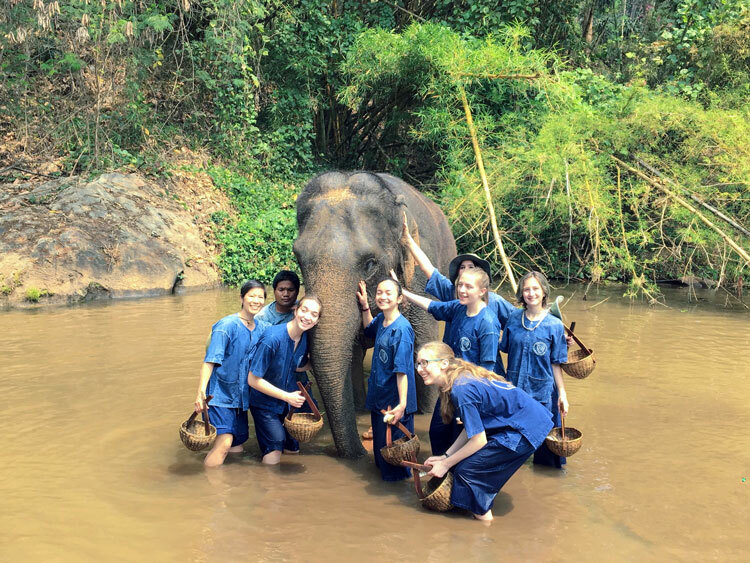 In 10th Grade, girls continue to engage in meaningful service learning experiences, often working with other students, and begin to conceptualize and focus the scope of a Community Action Project. 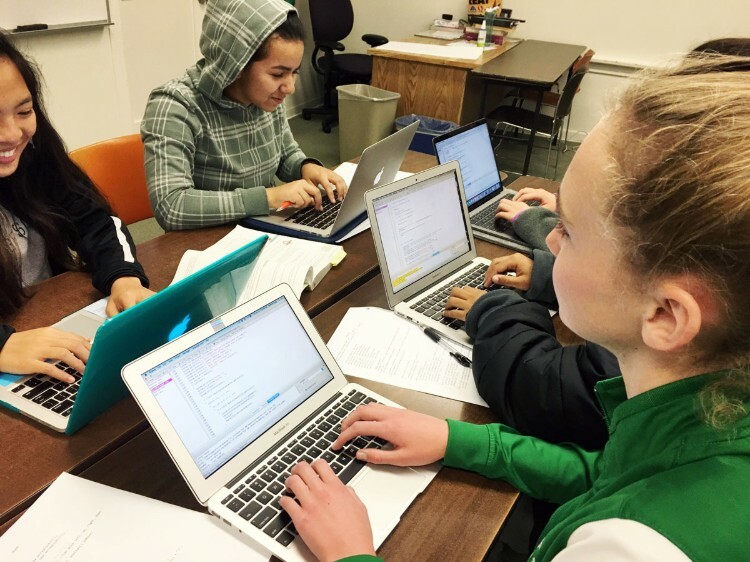 In 11th Grade, girls work closely with their advisors and their team of experts to engage in meaningful opportunities while developing a proposal for their Community Action Project. In 12th Grade, girls reflect on both the process and outcome of their four-year service learning experiences, and culminate the year by sharing their journey and presenting their projects to the community. 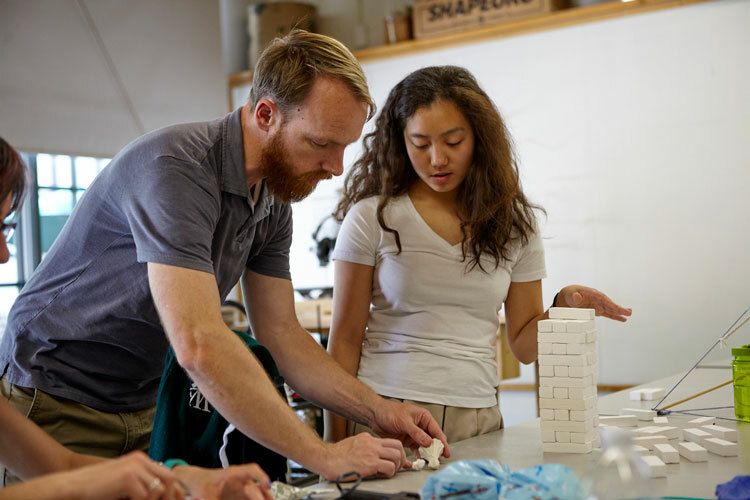 Upper School Interim week is an experiential program that promotes a sense of discovery, creativity, curiosity, connection, reflection, and responsibility. Through a variety of opportunities, the Interim Program strives to deepen students’ awareness of their own intellectual and emotional growth as they develop and pursue new interests and passions. During the week prior to Spring Break each year, students travel locally, nationally, and globally on trips that foster cultural and service immersion, arts and culture, self-discovery, reliance and reflection. During the 2013-2014 Interim Week, students traveled to Vietnam for a cultural immersion program, volunteered in our local public schools, and were featured as Artists–In-Residence at the Baker Demonstration School in Wilmette, Illinois. "Westridge provided me with constant, personalized support and unwavering encouragement throughout the college application process. As a result of having Westridge’s invaluable guidance, I have never felt more prepared and confident as I did making my college decision." The College Process is a two-year course that focuses on matching each senior with a college or university aligned with her unique qualities and interests. In the fall, juniors take College Process 11: Voice & Vision, an experience that hones their understanding of themselves in the present and investigates the vision they may have for themselves in the future. In the spring semester, The College Process 11: Voice & Vision is taken over by the College Counseling team at Westridge. The focus is on understanding the college search and selection process, and how it aligns with each student’s vision for her future process that is based on self-awareness and personal growth. The College Process 12: Your Chosen Path covers application logistics including: finalizing recommendations, working on essays and short answer questions, compiling and formatting a resume, preparing for interviews and college visits. In the second semester of The College Process 12: Your Chosen Path, students link what they have learned about themselves in Upper School to their future life beyond Westridge. The class features a variety of speakers and topics designed to support the students in their transition from high school to adulthood. Student Advisory groups form in 9th Grade and stay together through senior year. 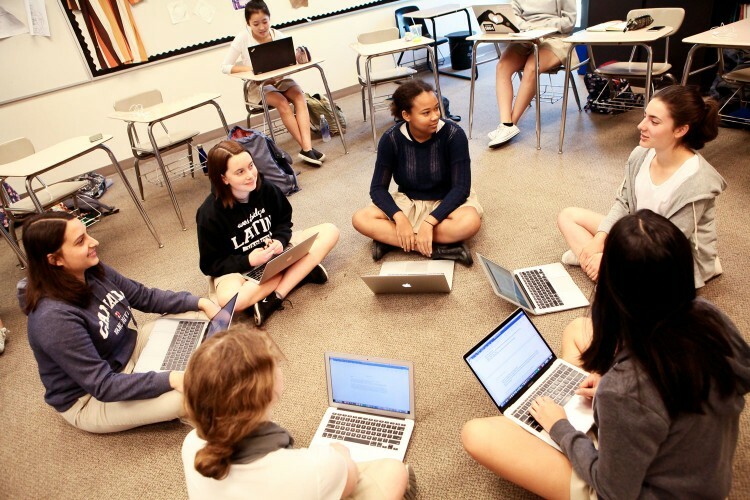 The most prominent form of Student Support in Upper School comes from classroom teachers. 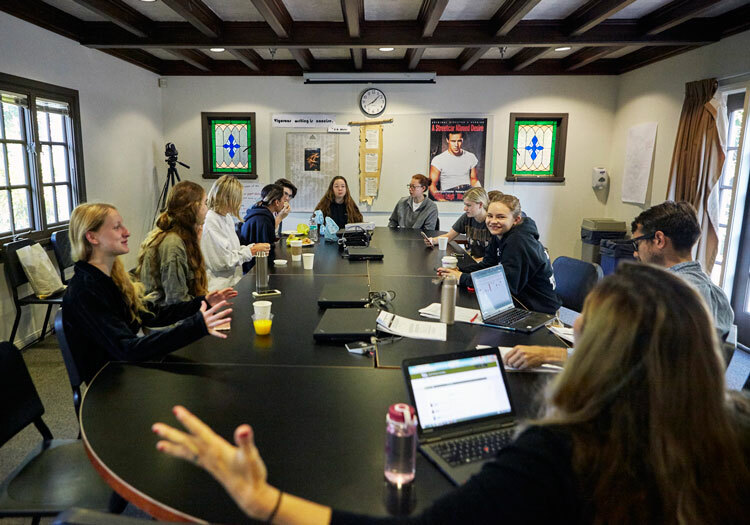 With small class sizes and a schedule that creates ample conferencing periods, students and teachers are able to connect as often as students need. In addition to academic support, every student participates in the school’s Advisory program – an even smaller grouping of students at each grade level (usually 8-10 students per Advisory) that begins their journey in 9th Grade, with a faculty Advisor, and stays together through senior year. While the Advisory Program serves to support each student across their academic careers at Westridge, the school’s dean of student life and school counselor are also available if more intense specialized support is needed. View the 2018-2019 Catalogue of Courses for Upper School.